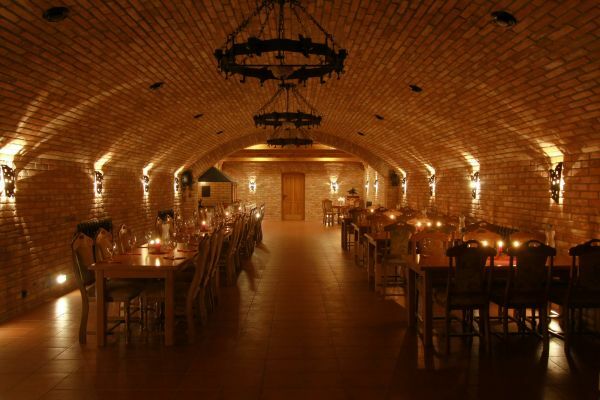 The wine cellar adjacent to the historical building of the Border Chateau has a capacity of 60 seats. It is therefore an ideal venue for company events, anniversary celebrations or wedding banquets. The wine bar offers a wide selection of delicious wines and stunning gastronomic experiences. For a demanding clientele, we offer a guided wine tasting of Moravian wines and to enhance the true Moravian atmosphere, we will provide traditional cimbalom music. We are also able to provide a warm or cold buffet and, of course, professional and trained staff.